Located in Ashland, Virginia just 15 min. north of Richmond, Virginia. Please Note: We do not ship. Pickup at farm only. We do not have appointments. Sorry for the Ads but they help pay the rent. 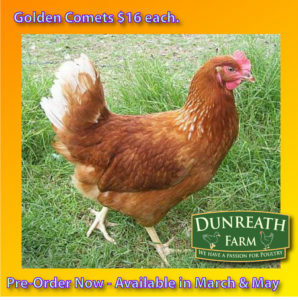 Dunreath Farm will have a new flock of Golden Comet Laying Hens available in May 2019. The Comets will be available on or around May 24th. Once we have the date, we will send out an email notification. We have been getting many calls for pullets and suggest that you reserve yours now. We expect these pullets to sell out fast. 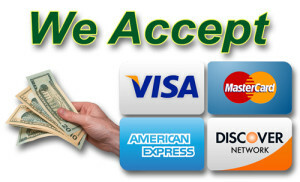 You can always cancel your reservation at any time - no questions asked. The Golden Comets will be approximately 18 weeks old on the pick up date. They are still only $16 each. These ducklings are offered on a first come first served basis. We will not be taking any reservations on ducklings. 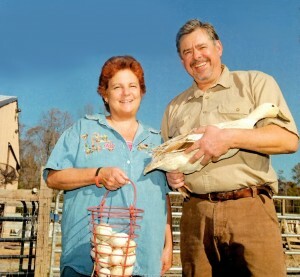 Dunreath Farm specializes in female ducklings. 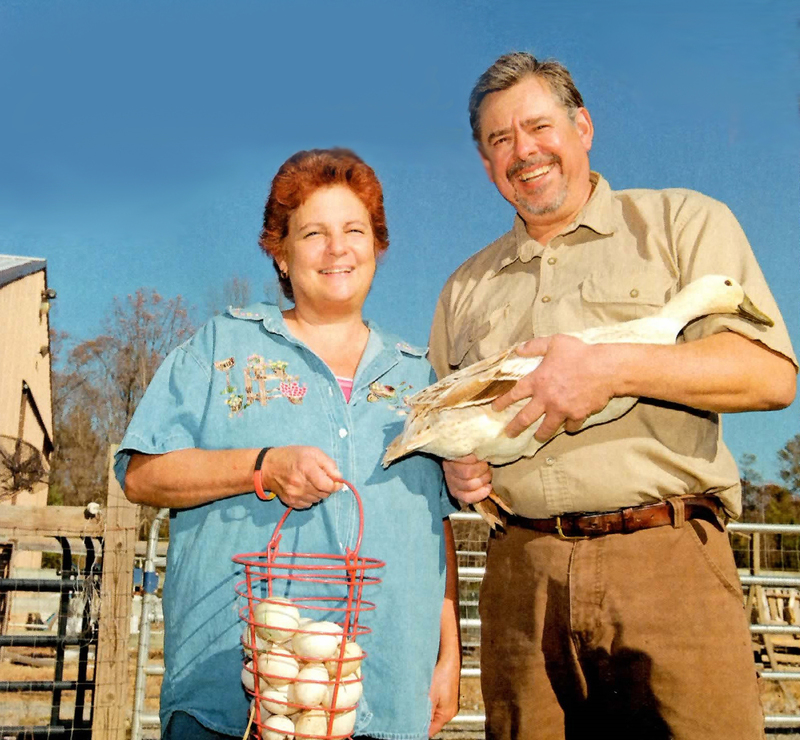 We do not sell straight run ducklings because owning a small flock with 2 or more drakes in it usually turns out to be a very unpleasant experience for both duck hens and their human keepers. Sexed female ducklings are $12 each. There is a three duckling minimum. Breeds can be combined to meet the minimum. This website was last updated on: April 22, 2019 at 12:09 p.m.